ArtyFartyAnnie: Scrapping Gives You Wings! 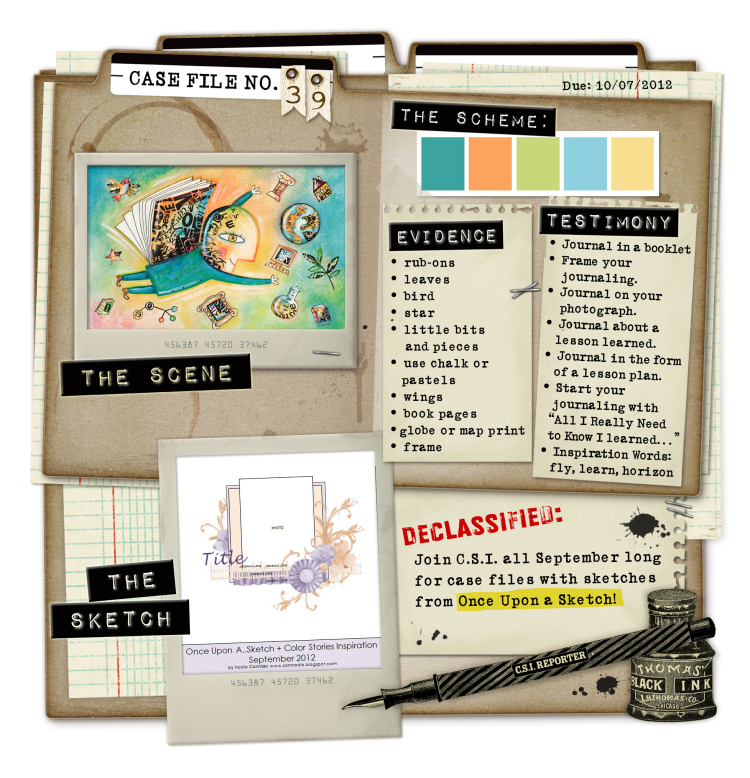 As you can see, this month we've had a sketch to follow in order to solve the case, as well as including all the colours in The Scheme, at least two pieces of Evidence and one piece of Testimony. Here is a (particularly poor)photo of my effort ... I think you may be able to tell that my head is all over the place at the moment! I did have a lovely time with it though and that's the main thing! Now I need to go have a look at the Gallery, which is sure to be full of beautiful pages - and it's time to get started on Case File #40!